Snowballs in Baltimore can trace their origin to the 1850’s, when ice houses in New York would transport ice to Florida, passing through the city on their way. 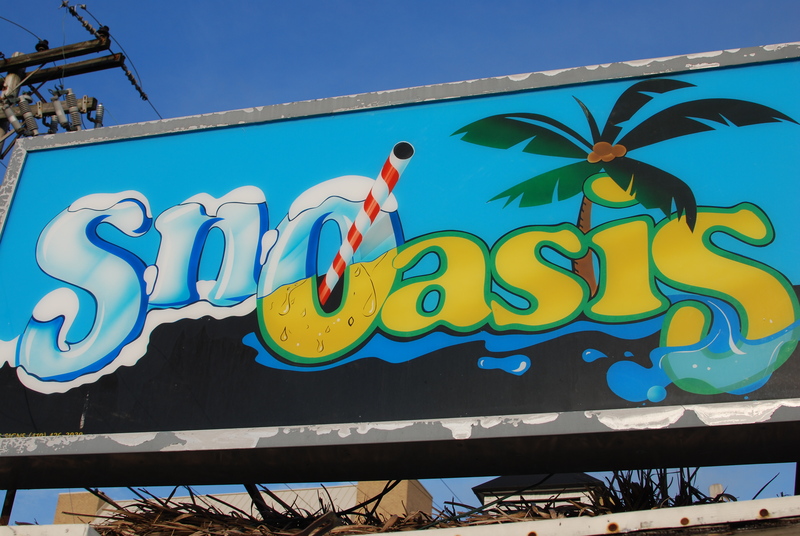 Growing up in the 80’s, what started as a small wooden shack next to the Cockeysville library is now the Sno-Asis stand on Padonia Road in Timonium. I remember hot, humid nights waiting in line by the library with my dad and my brothers, as other local families drove up to wait and ultimately taste their turn. Snowballs have always characterized our sweltering summers for me, and the relief of that fine shaved, syrupy sweet coldness is something I’ve been happy to share with my own kids. There have been others since then, notably Jay’s Shave Ice that introduced authentic Hawaiian Shave Ice to the area, and the increasingly popular Rita’s Italian Ice stands that have appeared along York Road. Although all good, “snowballs” are uniquely Maryland, in name if not confection. 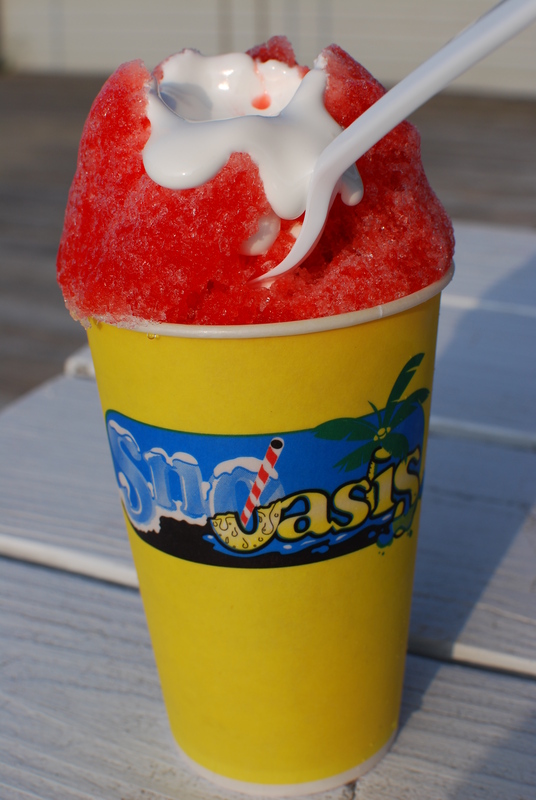 Sno-Asis has many of the standard flavors as well as some new twists, and per tradition, still offers melted marshmallow as a topping. It’s not open year ’round, but maybe I’ll see you there one hot and humid summer night.